August 22, 2013 July 26, 2017 filipinocavedivers Cool Stuff! In June of 2012, Expedition III was stopped dead on its track by a then unexplained blockage of the cave entrance by a pile of limestone. It now appears that this was caused by a cave-in based on further interview of the Enchanted River maintenance crew. 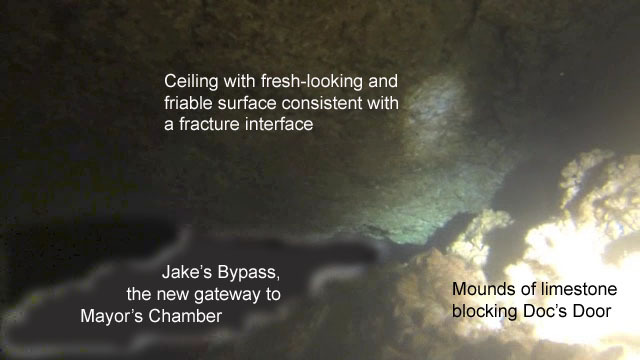 Furthermore, review of our video footage of Expedition IV (June 20-21, 2013) reveals irregularities and cavitation of the cave ceiling right in the vicinity of the cave entrance and the forward half of Mayor’s Chamber. This expedition is intended to explore this particular area and document the possible cave in site. Additionally, a brainstorming with Mayor Viola and Ferdinand Barrios’ concerns regarding developments in Enchanted River is also planned. The cave penetrations were done by Doc Amores (FCD cave diving instructor) and Jaime Lapac (graduating FCD cave diving student). Open water underwater support was provided by Rio Lapac and Larry Williams, both experienced open water divers. The dives were timed on the particular points in the tide cycle for Hinatuan supplied by FCD Jake Miranda (courtesy of http://www.ukho.gov.uk). 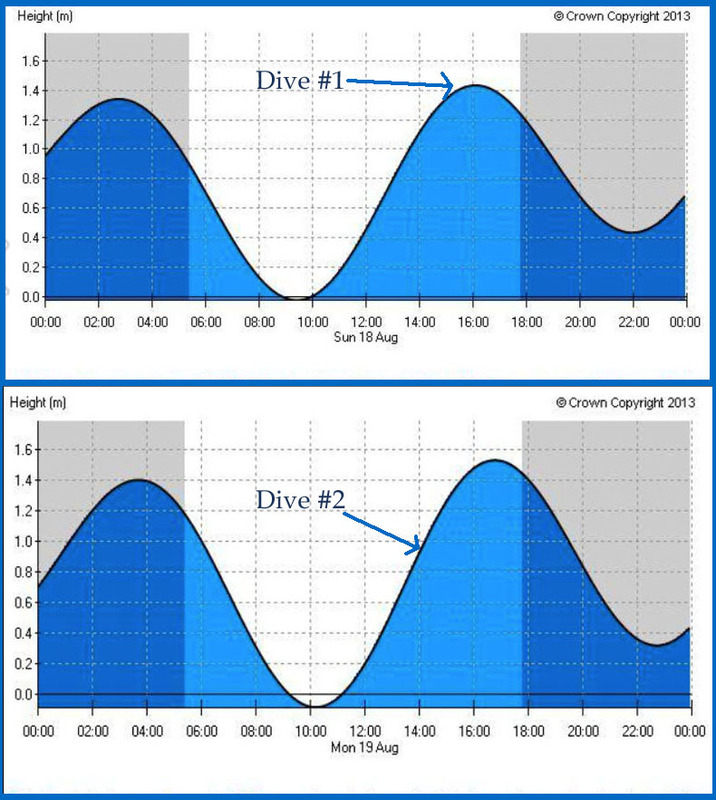 Dive #1 (fig 1) was done at the very peak of the tide chart at 4PM. We dived in seawater with very poor visibility. There was a slight current going inwards. The halocline was at the depth of 33 meters where the water suddenly turned crystal clear. We explored Mayor’s Chamber all the way to the end of the permanent line at Kelvin’s Kneecap. On the way in and out, the suspected area of cave in source was noted in the vicinity of Doc’s Door and the forward part of Mayor’s Chamber. Dive #2 was done at the middle portion of the tide chart upstroke expecting a good visibility throughout for video and photographic documentation of the cave in source. It was the best ever condition – no current, unlimited visibility – which this author has ever experienced in five trips to Hinatuan Enchanted River. 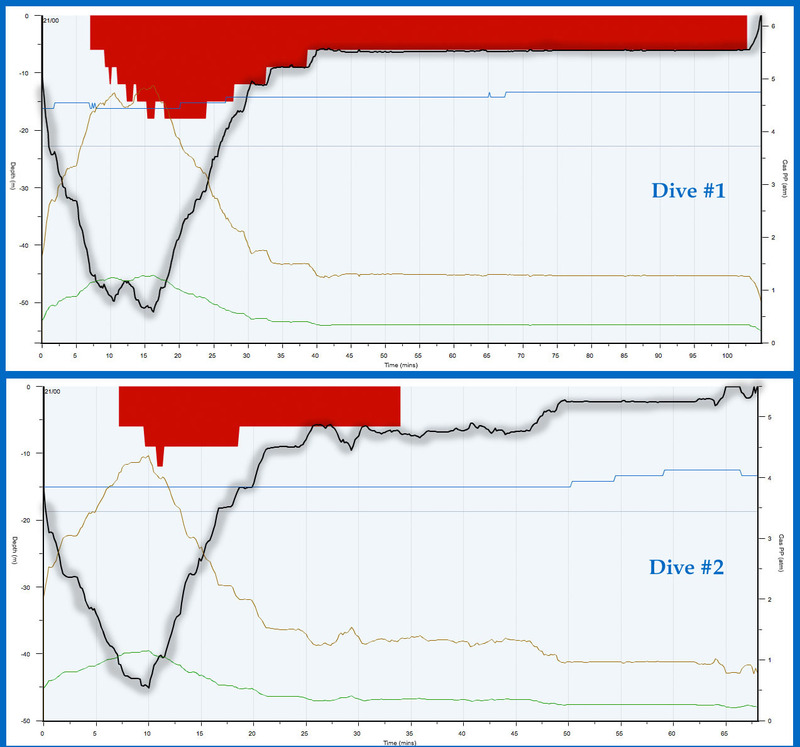 Fig 2 below shows the dive profiles of the two dives uploaded from the team’s Shearwater Petrel computer. The black line represents the depth profiles of the dive. For the uninitiated, the dive profiles in Fig 2 indicates the nature of Hinatuan Enchanted River Underwater Cave where because of the depth, technical knowhow and capability is a must when diving this cave. With those attained, this cave is one of the most exciting cave systems to dive. Specific knowledge of the current pattern in relation to the tide chart is essential. Hinatuan Enchanted River Underwater Cave is impenetrable at or near the height of its outflow stage. Videographic documentation of the cave-in sites was done. Right above where the mounds of limestone was noted, the ceiling above was thoroughly examined. Fig 3 below is a picture grabbed from the video showing the mound of limestone right above what was Doc’s Door. Examination of the ceiling showed fresh-looking edges with friable and relatively loose limestone. It is now believed that this event is a local cave-in phenomenon of still undetermined precise cause. Directly above the area is the parking lot development where minor earth moving was done. (Notwithstanding the proximate cause, the management of Enchanted River has now relocated the parking area far away from the vicinity of the cave chamber). Even during low tide when seawater is supposedly receding, the water is green. Is it because the riverbed is getting shallower that seawater cannot flow out or keeps flowing in? There should be a way to control the swimmers. There are more hours of the pool looking green than blue the past two years. If the picnic area were increased, there would be additional “load” on the pool, especially the surrounding limestone rock. As for the green-looking water, it has to be caused by the increase of algae in the area. Algae growth increased due to introduction of more nutrients from fish feeding (scraps uneaten by the fish), increased amount of fish crap in the water, less fish eating the algae because of the hand feeding and additionally the increase in swimmers that are for sure discharging themselves (urine, which contains nitrogen, phosphorous and potassium, are used to fertilize plants). They need to run a regular water quality check in the area, pretty much like a pool chemical check; reduce the amount of swimmers if the balance is off; and schedule one day every week to close the area from the public. The group had an overnighter at the Sibadan Fish Cage resort where topics regarding the above concerns were discussed in an informal manner. Relative to the heightened activities at Enchanted River, we did an early morning cruise to areas nearby which have already been identified by Ferdinand and Mayor Viola. Recommendations follow. Enchanted River is a classic “victim of its own success”. It is now perhaps Mindanao’s number one go-to destination in the island and beyond. Most of the concerns above, i.e. FCD Jake Miranda’s, FCD Bernil Gastardo’s, the Butuan divers and members of our group (Expedition V), point to the fact that decongesting Enchanted River is priority #1. This is not all. Just in the last few months, very aggressive development of access to Enchanted River is noticeable. Parts of the limestone road are now three times the width of what they were before…and there is plan for concreting the kilometers-long road! This means only one thing – even more people coming. Build a swimming pool that will blend naturally with the river’s ambiance. This pool will have a 5-meter deep and wide enough for cave diving training. Of necessity, there will be night diving in the pool especially for cave training. With this achieved, Enchanted will become a cave dive school destination. The section for children will now make families able to bring children to Enchanted River and make the long trip from Davao and other far flung areas worth for the whole family. Again, the emphasis is on the pool fitting into the natural ambiance of the river; and making it attractive enough to draw people away from the river itself. To mitigate the issue of algae growth, cut down on the number of feedings and eventually discontinue the practice. Dugong watching. The pattern of Dugong visits as to month of the year and time of the day must be established. Alternative activities must be provided in case of failed sightings. Open water reef diving is a good possibility as there are healthy coral reefs reported in the area in and around Pangasinan Island. This will need intensive documentation via a series of dives. (FCD can organize a team for this). Open water drift diving for large-animal watching along the ledge not far from Pangasinan, which reportedly frequent the area (which actually is the edge of the Pacific Ocean). This will need documentation by a series of dives (FCD can organize this one, too). Underwater photography can be a big player here. As we were cruising Tinago and Enchanted, Jaime and I could not contain our excitement of possibilities of macro photography in the estuaries of these rivers. Live corals and sea grass are abundant in the area which only mean one thing – small animals for macro photography. Surfing is a good possibility. Right close to Pangasinan Island, huge breakers are noted during the amihan months. Island hopping can be a big attraction, much like New Brittania. There are islands around with white sand beaches suitable for picnics. Enchanted River in Hinatuan, Surigao Sur is one wonder of nature that have captivated my curiosity. Beautiful and mysterious – there is something beyond that blue waters….